This is the updated poster for Star Wars VII (the original poster can be seen below). We don't have to say much to say something important: for example, the bright yellow in the original has been replaced with gold in the new version. Why is this important? 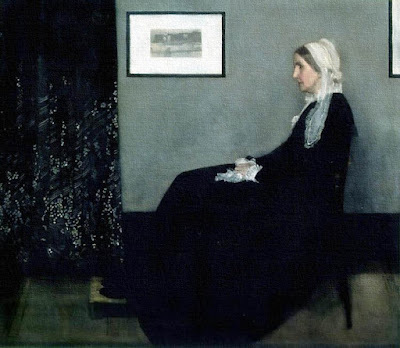 It looks better, someone might say; true, however, aesthetics generally--not always, but generally--the beauty or visual appeal exists because its foundation is a moral appeal. With the "first" Star Wars released in 1977, it was befitting that the words STAR WARS be written in yellow because yellow is the sign of royalty (it resembles gold which always invokes royalty): either someone becomes regal because of their bravery in battle, or someone loses their dignity because of cowardice in battle (refusal to fight for non-legitimate reasons). Consider that in those first three films (Star Wars, The Empire Strikes Back, The Return Of the Jedi) the three young heroes of Luke, Leia and Han had everything to prove, they were nothing, and every single encounter was a battle, they had no reason to have any confidence in themselves or each other (this is important and a theme we will elaborate upon below). So, for the first three films, they all could have been proven to be cowards (remember, Luke didn't have to go in search of Obi-Wan or in search of Leia; Han "leaves" the final battle in Star Wars to go pay off Jabba the Hutt, then comes back to cover for Luke so Luke can sink the winning shot, not to mention, they totally could have died in that trash compactor; it's never the authority you have won because of the last battle, rather, it's always what is at stake in the upcoming battle) but that's not what happens, even though they have two more films wherein they must prove themselves worthy of being some of the highest grossing heroes of cinematic history, and they do prove it. So, STAR WARS being written in yellow conveyed the dubious stakes the three heroes were fighting for in those first three films; now, however, it's definitely written in gold, which is appealing, because the original three are back and the gold verifies that they have, indeed, earned their places, and the gold of the poster is meant to convey this to us (these are some of the greatest heroes in the history of cinema!). Additionally, there is the "reflective" quality of the gold: if the gold is turned to the light, it shines even brighter, reflecting that light. Symbolically, we are meant to "catch the light" and reflect upon the poster and the characters it summons to our minds (as well as the plot of the film and the reflecting the characters will be doing themselves: that's the thing about the Star Wars films, they were all about free will: it would have been easy for Luke to choose the Dark Side, with his dad Darth Vader, but he resisted and made the tougher decision to go with the rebels). There's another detail added which one would have thought was contained in the original poster but is not: the stars. Why did they choose to have little glimmers like stars in the new poster? I think there are at least two reasons. First, an act of heroism stands out against the darkness like a star against the night sky, and seeing the reality of this in a tangible way encourages us in our own small, daily efforts, as unglamorous as Luke repairing droids on the farm on Tatooine. Secondly, the acts of courage, bravery and heroism that are made are immortalized in art and culture, just as the stars are set in the sky, not just for those who performed the deeds, but for us to be reminded of the standards of what a hero is, and aim to achieve that in our own lives. Lastly, there is a thin, but definite "red line" (it could be a red light saber); why is that there? Red, as we know, denotes blood: either we love someone enough to shed our life's blood for them, or we hate them enough to shed their life's blood to appease our wrath against them; I am guessing that we will see both. If you don't want to know anything about JJ Abrams' upcoming Star Wars VII, please, stop reading right now and just skip this post: it doesn't include any spoilers (none have been released), but does include solid "rumors" about the opening of the film from sources that have proven reliable in the past (and yes, it's to Abrams' credit that he's releasing teasers because bloggers and news sources--like me--are giving him tons of publicity as we analyze and write away and that's only a good thing for Abrams and company). So, you have been warned. "It's an elegant weapon," as Obi-Wan comments, not because of the rhythmic humming noise it makes, or the color of the beam, but because of the inner-strength of the one yielding it and the testimony it provides. Please, recall, the light saber is a update of the sword, the ultimate symbol of the knight. Feminists and queer theorists (no, really, it's called Queer theory) will say this is a phallic symbol imposing "Might is right," and of course, might is never right, etc. This is a perfect example of the spread of dis-information. It's not the kind of physical might they want you to believe, rather, it's the moral might that is always right (and, perhaps they don't want you to believe in that, either, they really only want us to believe what they themselves have been programmed to believe) and this interpretation is only validated by the "light" aspect of the saber (the "sword of truth" and the "light in the darkness" combing symbolic force into one, tangible material object). 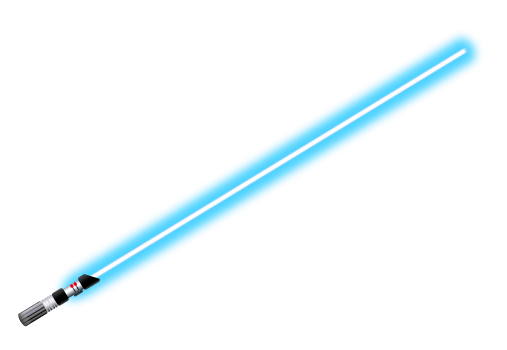 The color of the light of the saber is also important, for example, in the image below, when Luke loses his hand and his saber, it's a pale blue: blue is the color of wisdom and sadness, because of the path of wisdom is the painful lessons of life. Luke has wisdom, however, Vader's saber is red and, we can say, it is so because of the hate and malice he has nurtured in his soul; in this case, Luke's pale wisdom (after all, it's not a deep blue saber, but a pale blue) is insufficient to overcome the depths of Vader's evil. This, however, changes in Return Of the Jedi. Everyone who has anything to do with film is venting about the "opening" (or the rumored opening) of the Star Wars VII film: a hand falls to a desert planet and it's holding a light saber. 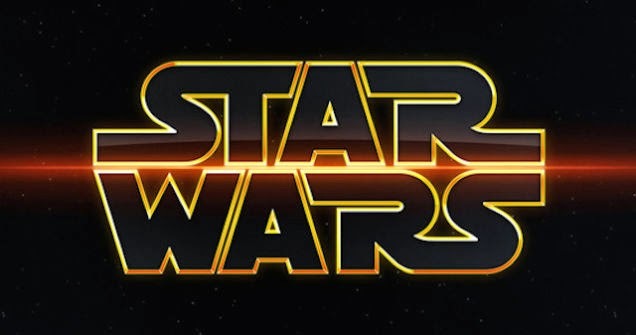 Two characters find it and decide to return it to the owner, so they travel off planet and encounter Hans and Chewie who are not flying the Millennium Falcon, but something else; Hans instantly recognize that it's Luke's, but he hasn't seen Luke in 30 years, not since the events of The Return Of the Jedi. Everyone else seems to think this is a terrible opening, but I think it's perfect: the hand, his right hand, the hand Vader cut off, has been cut off again, and we are called to remember the events of Luke losing it the first time, which is awesome! Let's compare Luke losing his hand to a similar situation in another iconic work of art, JRR Tolkien's The Lord Of the Ring. Frodo is at the edge of Mount Doom, but he can't let go of the Ring; Gollum appears (and you just have to take my word for it, Gollum is a manifestation of Bilbo's and Frodo's own souls that wants the Ring; Frodo isn't struggling against something else, i.e., Gollum, he's struggling against himself); Gollum bites off Frodo's finger to get the Ring and, in so doing, falls into Mount Doom, with the Ring and the finger. This is something like what happens to Luke fighting Vader: in both instances, the commandment from Jesus in Mark 9:43 that "If your hand causes you to stumble, cut it off. It is better for you to enter life maimed than with two hands to go into hell, where the fire is unquenchable." This is certainly the case of the fires of Mount Doom in TLOR, and, I think, of Luke. Throughout the film, Luke has thought well of his powers and his ability to use them, but he's not a real Jedi, but he thinks he is (note his outfit, it's gray, and gray is always the color of the pilgrim, either because they are doing penance or because they are in a state of the novitiate). Just as Frodo has to lose the part of him that wants to hold onto the Ring so the rest of him can be saved and return to the Shire; Luke has to be willing to lose the "power" that his right hand symbolizes in order to resist Vader's--his father's--invitation to combine their power and rule the universe. This act of sacrifice is what makes Luke a Jedi knight, he would rather be maimed than risk becoming evil or being used by evil for evil's own end (remember in the first film, Obi-Wan sacrifices himself to Vader so he can "become more powerful than you can possibly imagine" because Obi-Wan would then be free of his body and earthly form which causes/leads us astray, and being free of his "weaker self" of course makes him stronger in every way). 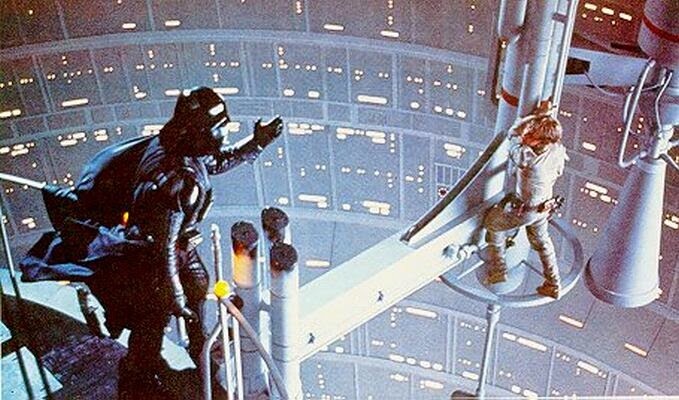 Luke accepts the sacrifice of his hand, his power, and then, in Return Of the Jedi, he is a Jedi, he wears all black because he is "dead to the world" and the power the Dark Side might have had over him before now doesn't have anything in Luke to "act upon," there is no vengefulness or power-hunger or vanity, just Luke knowing what he has to do and wanting to do it. SO, when we see Luke's hand fall to the desert like this, these are some of the things we should be thinking of. You don't think that's awesome? Let me clarify. Luke makes an ultimate statement of, not only free will, but also of individuality. Vader wears the black mask and suit because he has lost all his individuality and free will, he does the bidding of the Emperor who uses Vader's wrath against him to control him; Luke won't be controlled, even by the worst news he has ever received (Vader is his father), but stands against it and refuses to give in even if it means losing his life. Now, given today's entitlement wave of brainwashing and victim-hood, culture trying to tell us that everyone is gay--or if they are not gay, they are sleeping with anyone and everyone--Luke's loss of his right hand is a profound reminder of what he gained when he sacrificed it: his own self. In a very real sense, we can compare the "falling hand with a light saber" to the glass slipper depicted in Cinderella (2015) which you can watch here. Luke is known for his biopic hand, Cinderella for her glass slipper: it's not a matter of "reducing" a person's identity to an object or just one item, rather, recognizing the power objects have to communicate to us about our individuality and how an entire story can be summoned by the mind with just the slightest hint. Now, on a different level, when we see that hand drop into a desert, the hand of the one who went to save others and defeat the evil empire, are we supposed to see that as the state of the United States? The right hand symbolizes strength, and the light saber is the ability to carry out justice--not only the moral ability, but the legal and political ability as well--but when was the last time the Obama Administration made an act of justice or followed the law? Is the desert the hand falls in like the wilderness through which we will see the Israelites wander through in this December's Exodus: Gods and Kings, the place of the soul's purgation? The one who was there to save others, now needs to be saved, just like the United States. The original title card and poster. Hans hasn't seen his brother-in-law in 30 years? That would be 1985, the year Ronald Reagan was sworn in for his second term of office and Mikhail Gorbachev became the Chairman of the Communist Party in the Soviet Union, i.e., the two men who would end the Soviet Union stepped onto the global stage and made choices that changed the world for the better, forever,... until 2008. Abrams has commented that he wants Star Wars VII to be like that first film, intentionally: so the finding of the hand is like Luke finding Leia's message on R2D2; the two characters finding Hans and Chewie is like when Luke went in search of "Old Ben" and Ben not having heard his name "Obi-Wan" in many years is like Hans not having seen his old friend for 30 years. Why do it this way? Does Abrams not have any good ideas of his own? Absolutely not, this is a good idea, because, just like I have been beating the drums, the films that defeated socialism/communism in the 1980s, will defeat socialism/communism today, and this is the instilling in a "new generation" the same values, the courage, the same hope as we first experienced so long ago.